If you shape your mind that Mekong Delta is a flat region with immense rice fields, and fruitful orchards, Phu Quoc will give you different sights about the southwestern region of Vietnam. 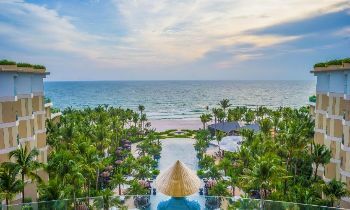 Located off the coast of Kien Giang province, Phu Quoc is famous for the white blue sea, pristine forests, and luxury resorts. This the most attractive tourist site in the southwestern region of Vietnam. 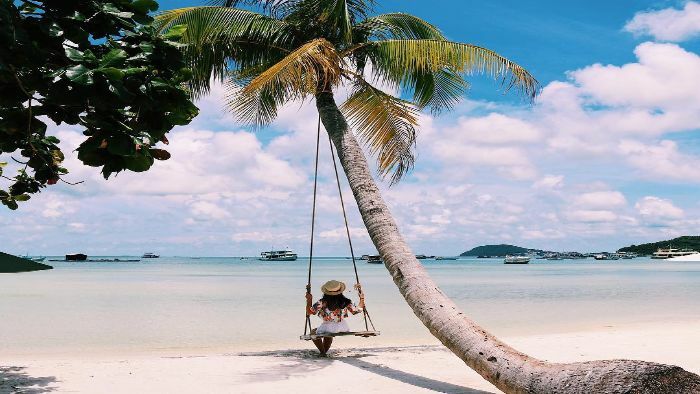 Although Phu Quoc island is considered the sea paradise for tourists, there are still plenty of remote and empty beaches even during the high season. Of course, it may take a little work trying to find these beaches, so pack a lunch and towel, hit the road, venture out and see what you find. 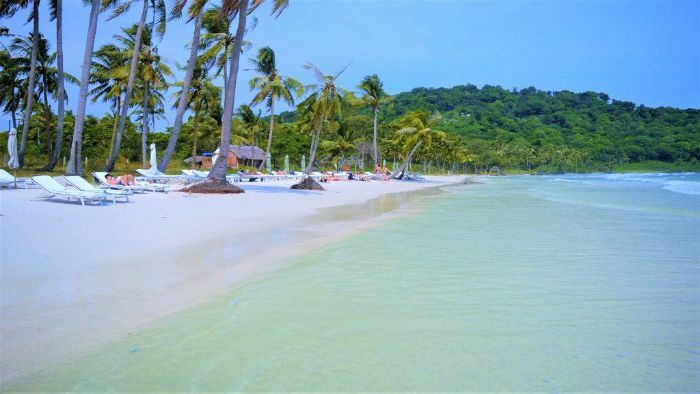 You will not get difficult to find the locations, because it is available on the Phu Quoc map. There you have the best opportunities for enjoying the empty sun-drenched beaches under the lines of coconut trees, most of the pristine beaches will be found around the northern and northeastern part of the island. Mount Chua at 603 meters is the highest mountain on Phu Quoc and forms part of the Ham Ninh sandstone chain of mountains that stretch for 30 km along the eastern edge of Phu Quoc. There are plans in future to build a walking trail up for tourist to look out the entire Phu Quoc on the top of the Mount Chua. The views over the national park and the island should be excellent. Another specialty of the island is the Rose Myrtle Fruit Wine, which is actually quite drinkable compared to the other local wine that contains a wild mixture of herbs and sometimes snakes resembling the taste of kerosene. The Myrtle Wine is a slightly sweet tasting wine similar to alcoholic blackcurrant juice that has a violet color and smells of the sim fruit or tomentose rose myrtle fruit from which is made. The sim fruit grows wild on the island, and due to rising demand and prices, many farmers are now growing the tomentose rose myrtle fruit to contribute to the wine production. 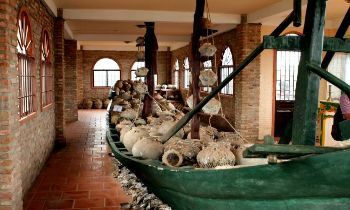 You can visit the wine plants on some of the organized tours or try finding the Son Phat Company in Duong To Commune in the southern part of Phu Quoc where the wines inventor Trinh Cong Phat produces Myrtle Wine under the Vuon Tao Phu Quoc label producing “ Ruou Sim Rung” (tomentose rose myrtle alcohol) and “Mat Sim Rung” (tomentose rose myrtle honey) or pick up a bottle at local stores, it’s worth a try and at around 100,000 dongs (US$6) it’s far cheaper than most of the imported wines. The wine is also good for digestion, though we’re still testing this theory. If you keen on seeing the Pearl farms of Phu Quoc, you should visit the pearl farm shop run by a New Zealand based company in Duong To Village about 9 km south of Duong Dong along the dirt road that follows Long Beach. Coming here, you will find some remarkable pearls and some information about the history of pearl farming on the island. You might find that the prices are also pretty remarkable too, judge for yourself. Traveling around Phu Quoc and exploring the unique sights on this island, you will definitely have the most impressive memory about the land and human there. We hope that you will find yourself the best comfort in your Phu Quoc trip. Enjoy your time!